Welcome, yoga enthusiasts and those that are simply curious about yoga! SCROLL DOWN TO SEE THE FULL SCHEDULE & Click to Book! 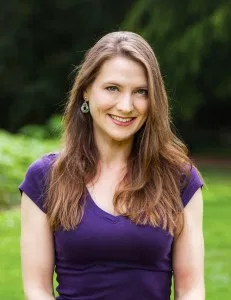 I’m Virginia Hill, the driving force behind AHA Yoga, and I am thrilled to connect with you about Yoga and Meditation offerings at my new studio in Lake City. I’ve dedicated myself to teaching yoga because it has changed my life and those of my students. AHA Yoga runs its weekly sessions in 10-week course terms. Students must register in advance for the full Course Term, therefore receiving a reduced tuition rate (between $50 to $80 savings). It is with robust training, knowledge, and visceral, energetic experience that I created each course, and every one is designed with particular sequences for specific purposes and student needs. Each course is also organized to foster community and commitment to sustained, regular practice--which is how each student gleans the most benefit. There are various types of courses and at different times to you can find what is just right for you. I also offer one-day specialty Yoga Workshops as well as one-day Master Classes. These allow you to dive deeper into yoga practice as well as rich yoga philosophy. I also offer Private Yoga Mentoring; this is THE most delightful option if you want to build confidence, have a specific goal or health need in mind, want to delve deeply into meditation, or simply would benefit from some TLC and time for self-care. SPRING TERM starts April 22! The VIP Booking (saving you $80!) will be open March 19, and this special opportunity is available ONLY for those on my community e-mailing list. If you want to receive this VIP special, you can join that list here. Since Winter Term courses are well under way, you can no longer pay on-line, though you are very welcome to join us. 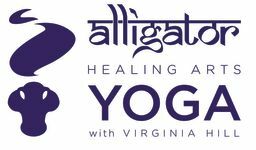 Browse the courses and their descriptions (click on the course name for details) and then simply text me (949.903.5076) or email me (alligatoryoga@gmail.com) to RSVP. Should you desire to attend a single session, the Casual Class rate ($21 for 60-minute sessions; $23 for 75-minute sessions; & $25 for 90-minute sessions) must be paid in person in cash or check (to "AHA Yoga"). You will need your own yoga mat; mat rental is $2. Come find out more & experience this for yourself by committing to your very own practice. Get started by saving your place in the Winter Term! SPRING TERM begins APRIL 22, and we be here before we know it. If you'd like to make sure you get my VIP rates not open to the general public, be sure to join my Yoga Community new list here. Contact me to discuss your Yoga & Meditation options. I am so grateful for your support, and your commitment to yoga and cultivating your best Self. Looking forward to practicing with you soon.